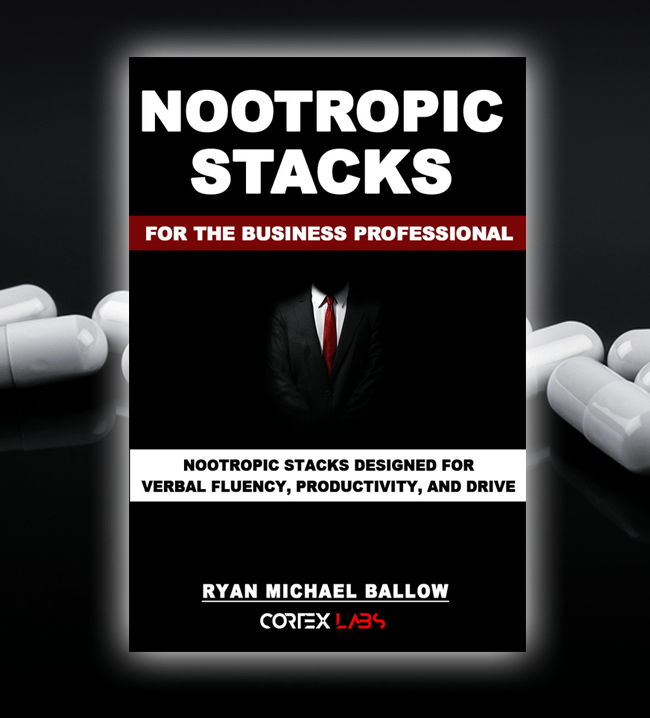 Nootropic stacks for the business professional is a giant list of nootropic stacks, that target the brain states necessary for business productivity. And in this digital guide, we break all of those nootropics down, with accompanying stacks with those nootropic compounds. But that's not it. This guide also features complex nootropic stacks with the following ingredients, as complimentary components of the above chemicals' stacks. Open them, in your email program, on the mobile device you want to read the guide on, and then choose to open the file in the respective programs the files open in. The iPhone/Android version is an “epub file” and can be opened in iBooks if you have an Apple device, or Lithium Reader if you have an Android device. The Kindle version is a “.mobi file” and can be opened with any Kindle application. The PDF version is a “.pdf file” and can be opened with any mobile device, and any MAC or PC with PDF reading capacity. That's it! Order the most comprehensive, elite level nootropic stack list for business productivity below, and get access to the most powerful nootropic stacks in the world.